Honda has launched its Honda CB Twister keeping in mind the young bike enthusiasts in the country. The bike is a striking amalgamation of style, classy looks and powerful performance. It is the first Indian 100-110 cc bike to be introduced with a tubeless tyre. Honda CB Twister is a delightful performer as a commuter motorcycle. 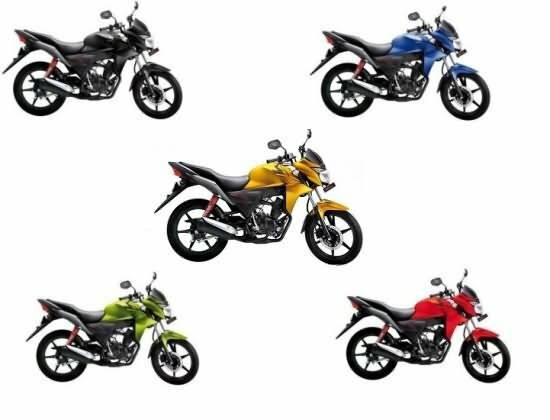 Honda CB Twister is available in 5 sizzling colours namely Pearl Siena Red, Candy Sonic Green, Pearl Amble Yellow, Pearl Fuji Blue and Pearl Nightstar Black. The fuel tank of the bike provides a very sleek appearance. The broad headlights and air scoops provide a stunning look to the bike. The high quality paint, six spoke mag alloys, open chain, split grab rails and stylish exhaust design make Honda CB Twister stand out amongst the rest. Honda CB Twister has a host of comfort features for the rider and the pillion. The tank design provides ample space for knees. The bike also feels extremely light and very easy to handle. The light clutch makes riding in heavy traffic very easy. The bike has analogue fuel gauge and analogue speedometer. Other comfort features include Low battery indicator, Low fuel indicator, Pass Light and Passenger foot rest. The bike is equipped with maintenance free battery and viscous air filter for more convenience. The halogen headlamp provides great comfort during night drive. The front and rear suspensions lend a very comfortable ride with the appropriate ration of kerb weight, wheelbase and performance. Honda CB Twister has given the safety aspect the utmost importance. The brake system is sharp and spontaneous. The broad tyres provide excellent grip while driving. Honda CB Twister is equipped with 109 cc, 4 stroke, single cylinder, Air cooled, OHC engine. It produces a maximum power of 9 bhp at 8000 rpm and a maximum torque of 9 Nm at 6000 rpm. It runs on four speed manual transmission. However, the engine of Honda CB Twister performs perfectly as a commuter bike. Honda CB Twister Kick Drum which comes with drum brakes and kick start – Rs. 41,850. Honda CB Twister Self Drum which comes with drum brakes and self start – Rs. 44,850. 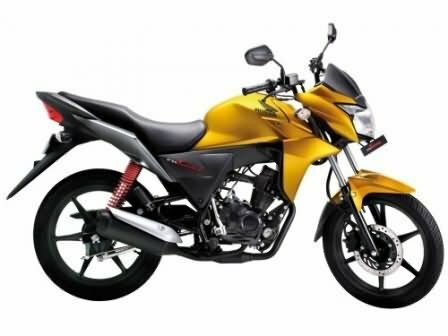 Honda CB Twister Self Disc which comes with front disc brakes and self start – Rs. 47,850. However, the prices specified above (taking Delhi as base price location) are indicative prices only and reflect lowest approximate prices which exclude tax, registration, insurance and cost of accessories.